Cherish the memories – Enjoy a new look. Take a quick mental inventory of the jewelry in your jewelry box, dresser drawer, and safe. Do you have any items you keep because of sentimental value that you have always meant to wear, but simply are not your style? Designing Jewelers can help in a number of ways. 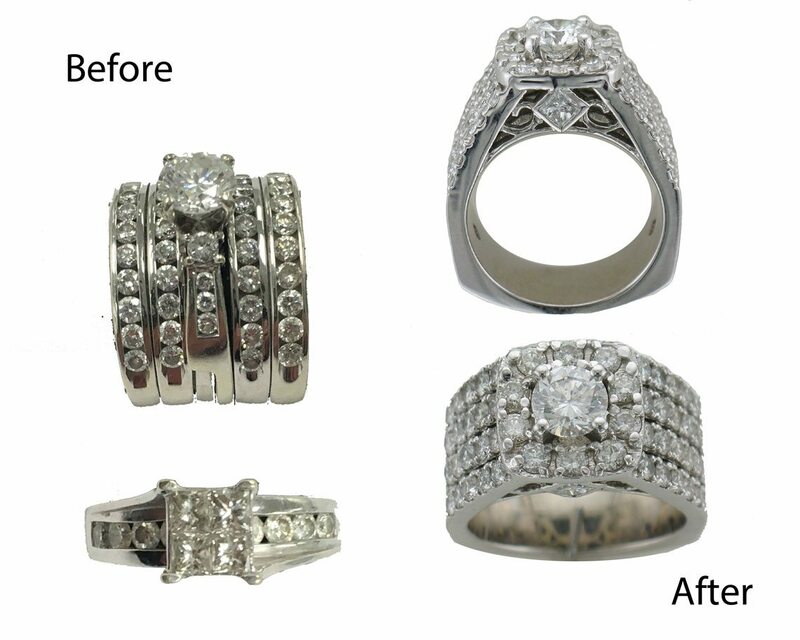 Your jewelry may simply need to be refurbished, which could include replacing shanks, re-tipping prongs, replacing stones, or reshaping a piece. 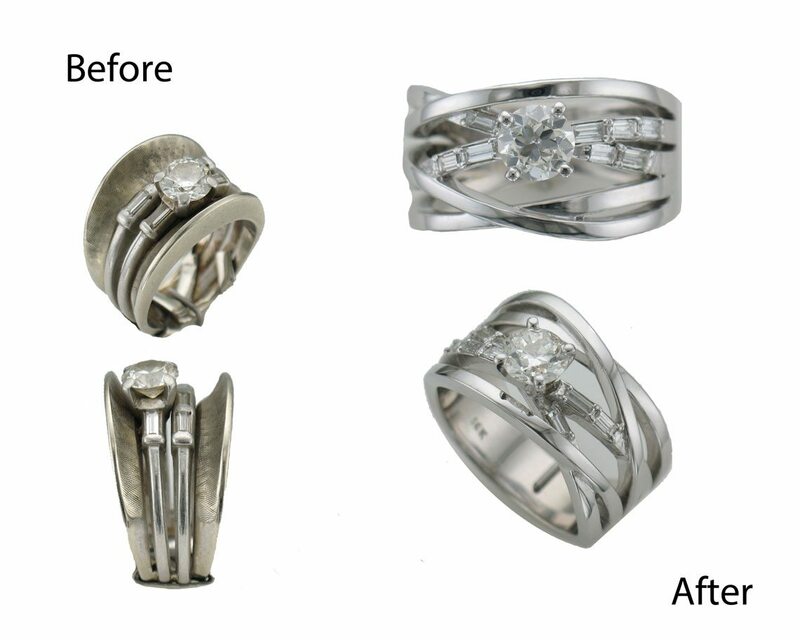 If the jewelry is beyond repair or you simply want a new look, we can take the elements of the piece and create a new, custom design! Just stop in to Designing Jewelers for a conversation about your jewelry. We will discuss your options, which will range from simple repairs, restoring your beloved heirloom, creating a completely new piece, or repurposing your jewelry into a fabulous, glimmering, and stunning new work of art you will enjoy for many years to come!